Mademoiselle Danse has selected for you the most beautiful wrap-over top and sweaters. The warm-up outfit is an essential part of the performance of the dancer. Before, at the beginning of the course, as after at the end of the course, the dancer wears a wrap-over top that allows to appreciate its posture and do not hiding too much her body movements. Elegant and emblematic of classic dancing, the wrap-over top will satisfy all dancers ! 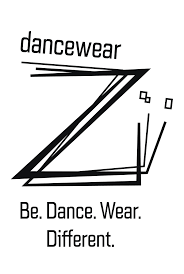 Pull overs are also products used by the dancer, rather contemporary or jazz. They offer a variety of models, formats, materials and colors. For those who find that the wrap-over top and sweaters are too hot, there is also the shoulder warmer. This allows the arms to be protected from the cold while keeping the bust free. Mademoiselle Danse offers you a wide range regularly renewed to feel warm during the cold seasons, so do not hesitate! Warm up top Repetto knit perfect for the warm up.Round neckline. Rolled finishes.Its light mesh gives smoothness and convenience.R in jacquard in the back which reminds the brand in a elegant and discreet way. Mademoiselle Danse likes: its mesh knitting. Dance warm up sweater.Made in 3D knit with a superior quality.It will be essential for your courses starts or your daylife !55% cotton and 45% polyamid. Mademoiselle danse likes : the very sweet viscose knit. Long sleeve sweater dance wrap-how.Ideal for the beginning of the course the core cover is the essential accessory of the dancer to be warm at the beginning or throughout the course.Soft viscose-elastane, natural, comfortable and durable.Mademoiselle danse likes: its very sweet material. Pale pink knitted shawl. Square shape and 'R' jacquard logo all over in matching tones.Soft touch and comfort.50% cotton - 50% acrylic. Dance V-neck wrap Repetto.Piece essential of the dancer wardrobe, the V-neck wrap can be worn for the warm-up or throughout the ballet classes.Lo,g sleeves, to cross and knot on the back.95% viscose and 5% elastane.Available in grey and black. Mademoiselle danse likes: the soft fabric, comfy and natural , the viscose. Fancy 3D knit sweater.Round neckline.Alternation of opaque and open bands.Metal circle with the logo R on the back.Straight cut.Available in orchidée, poudré and jaune.60% viscose and 40% polyamide Mademoiselle danse like: the soft sensation. Long vest Temps Danse.You can also wear it above a leotard.Large and nice to wear.80% viscose 14% acrylic and 6% elastane Fabric made in France. Mademoiselle Danse likes: the soft and comfy fabric. Sweat Temps Danse long sleeves.Round neckline.Mix of cotton and polyester.Neat finish.Fabric made in Portugal. Mademoiselle Danse likes: the cut just perfect! Sweat short without sleeves.Round neckline and opening on the back.57% rayon, 39% polyester and 4% spandex.Article matching with the short Heartley and pant Tensley. Mademoiselle Danse likes: the light grey withe white edges.